Recently I was approached by the people over at JORD watches to see if I would like to review one of their unique wooden timepieces . With all possible reviews I show my partner Jordan what I have been offered. Straight away Jordan really liked the range of watches they had on offer and joked about having one for himself as his name is Jordan. So being a nice girlfriend and to claim some brownie points I let him choose a watch to review. After much deliberation he chose the Dover in Ebony and Copper. 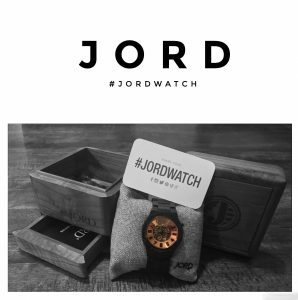 The JORD website is really and simple and easy to use. Unlike many American online stores I have brought from before it shows you how much the product is in both dollars and British pounds sterling. As soon as you place your order you get both a confirmation email and a tracking email. So that you can track your product on its journey to its final destination. From the moment we opened the shipping packaging we were really impressed with the product. The wooden box it came in is awesome. With a little draw included in it to keep the spare links and cleaning cloth in. 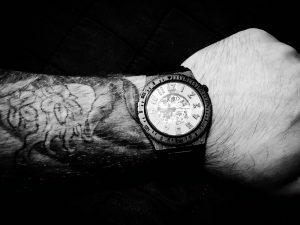 The Dover watch is a stunning piece of craftsman ship. 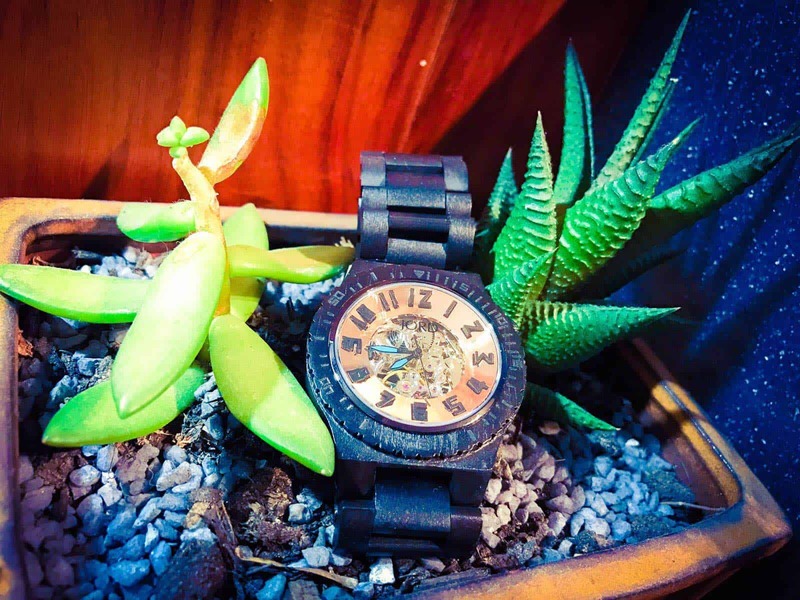 The watch face is protected by Sapphire crystal glass which is scratch resistant and tough. The drive system is self-winding and automatic meaning you wont have to replace a battery !. I have had many a watches in the past and after 6 months they need a new battery this can be a very costly game. When ordering either a women’s or men’s watch from the JORD website , you will be asked for measurements of your wrist. They have an easy to follow guide on how to do this when you are going through their ordering process. Jordan is a big watch person and he has said how comfy this watch is. It fits perfectly and looks amazing. It has made a big talking point with both family and friends when he has worn it as many think it has been made specially for him with his name on it.